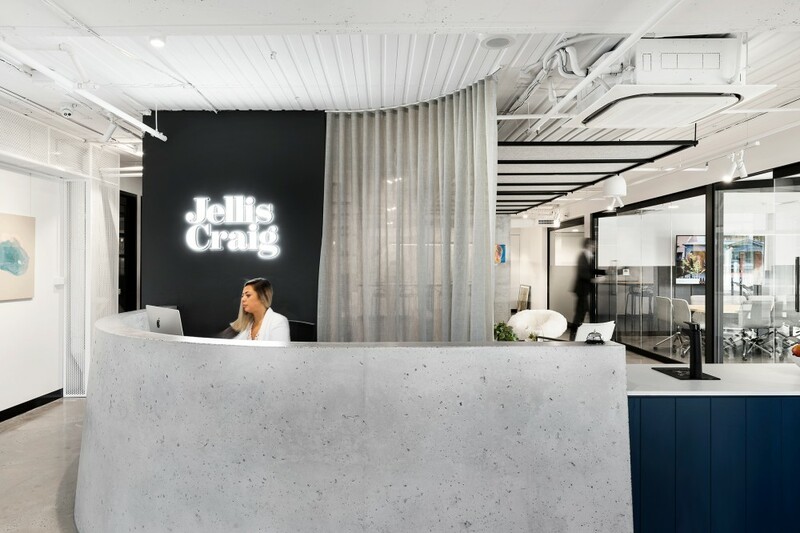 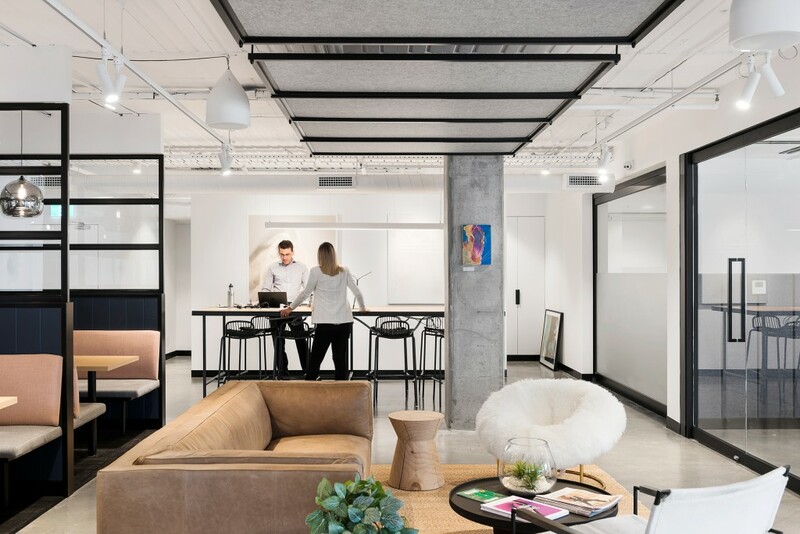 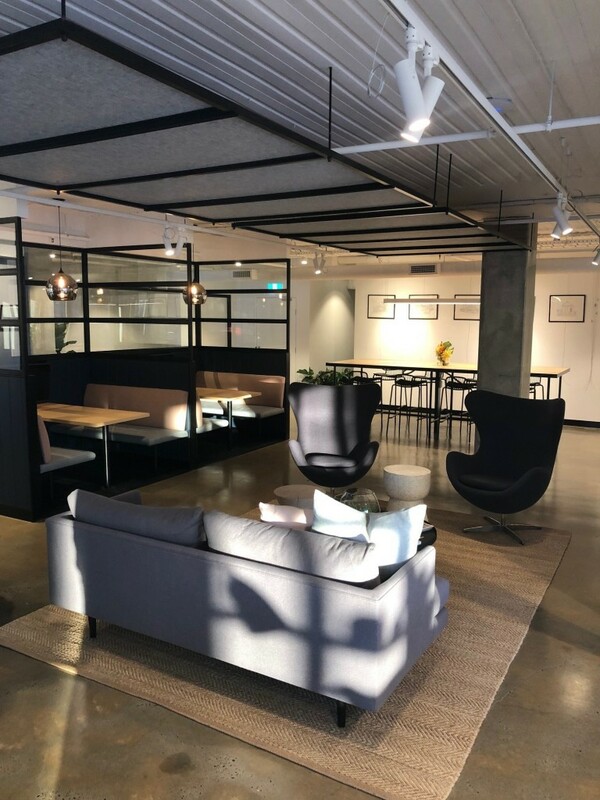 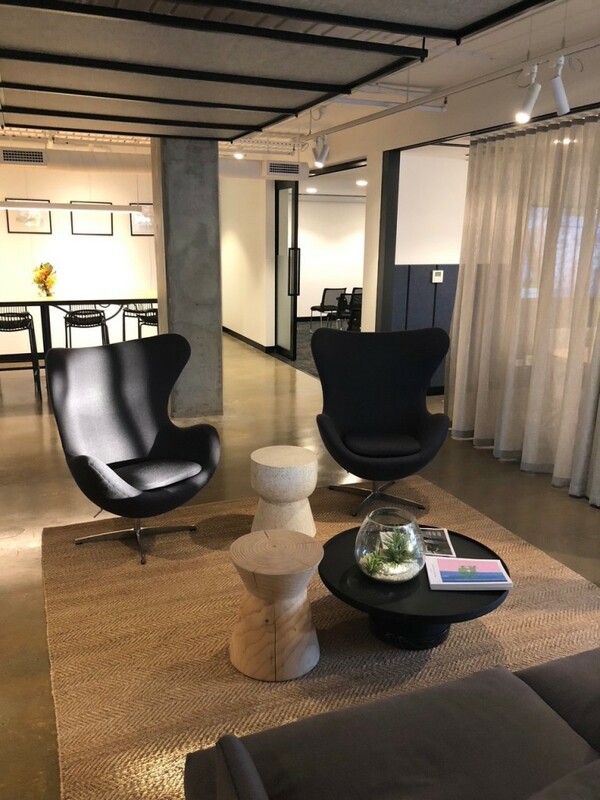 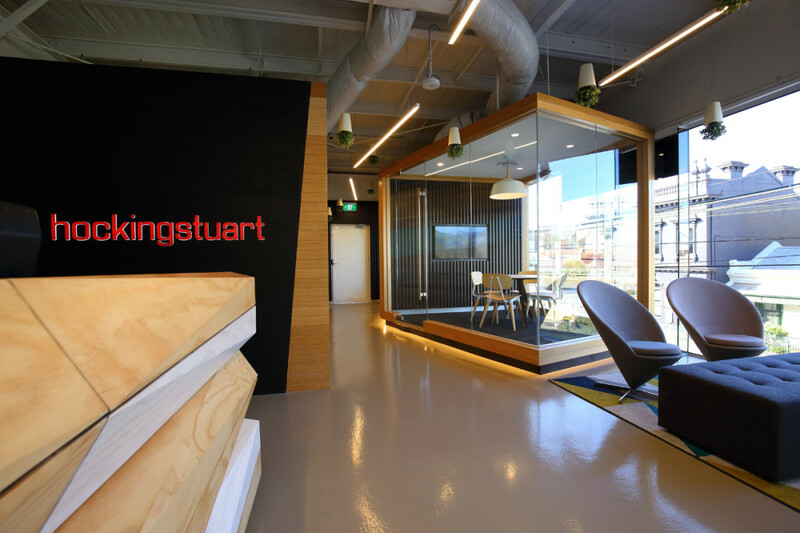 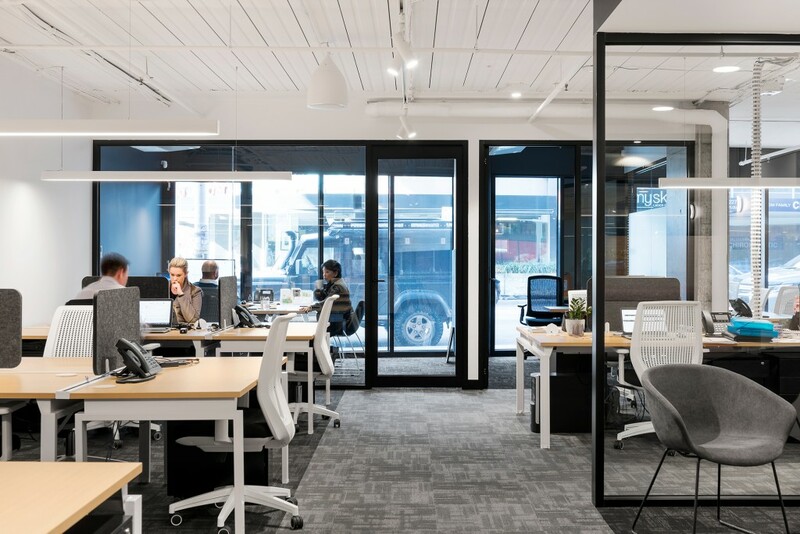 Jellis Craig’s new Nortcote office brief was for a space that has a contemporary, light industrial feel that would be a welcoming space for customers and a great working space for staff. 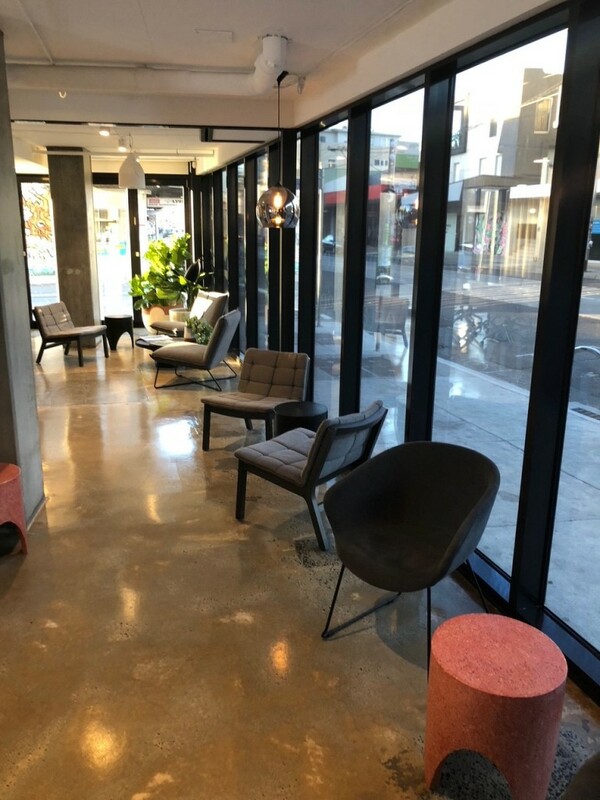 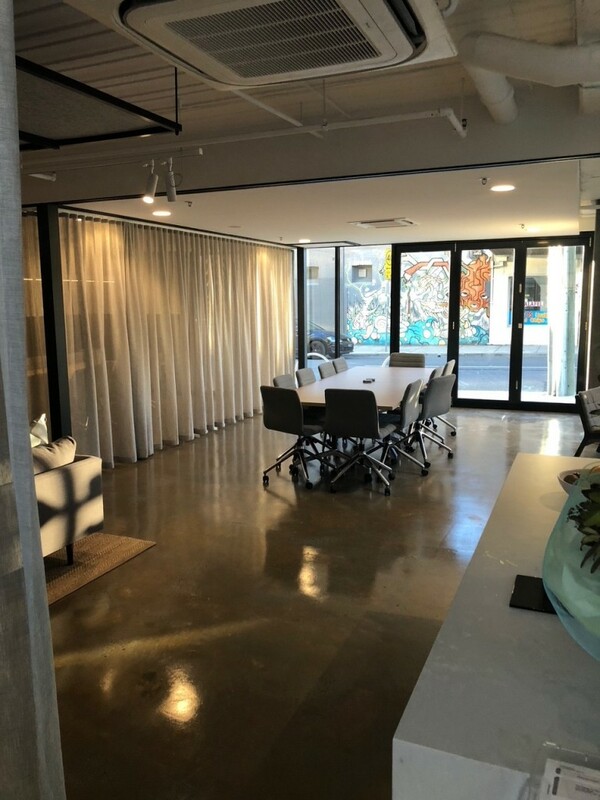 An industrial look was achieved with a feature concrete counter, epoxy floors and exposed ceilings but is softened with luxurious booth seating areas, feature curtains and light timber joinery. 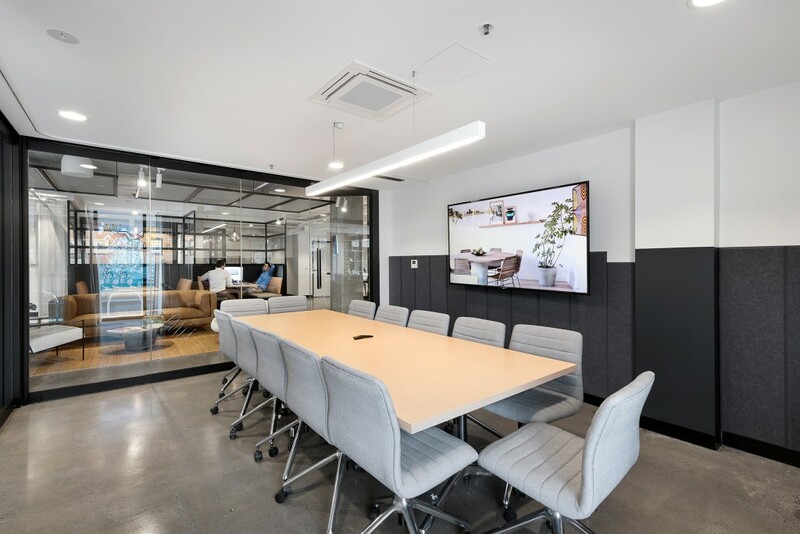 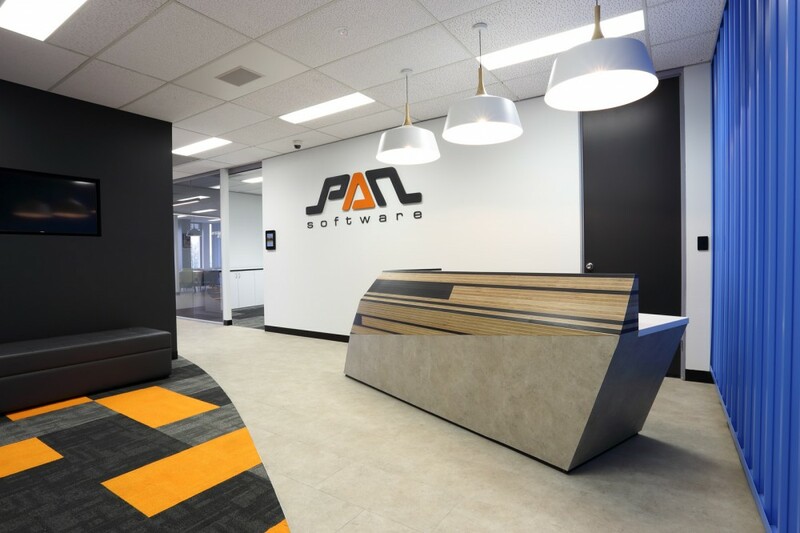 The office features formal board rooms, training rooms and informal breakout spaces.